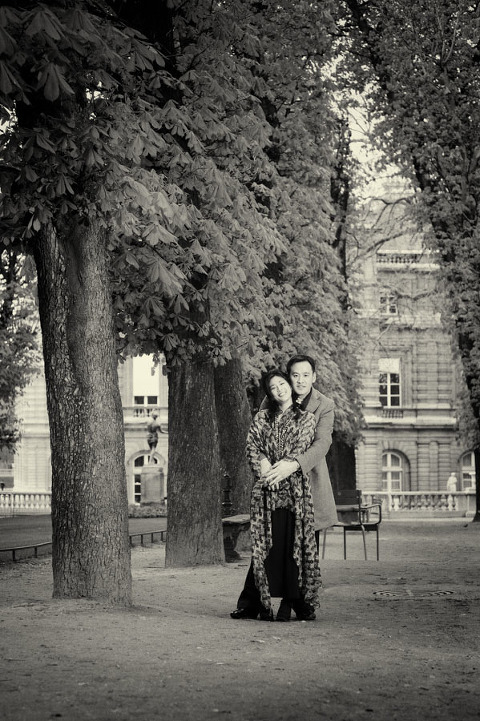 Paris in the fall for an engagement photo story with a couple from Seoul. Both creative & art director is an advertising agency in Seoul. They met over a drawing board actually! So naturally when they got in touch, i had a mini brief! They were after something natural & fun with an edge which is pretty much what i love doing! No Eiffel tower, no “kitschiness”, just some raw material. So we went around town, and I did what i know how to do best, which is enjoy the moment with a great couple from Asia. Running around from the Isle Saint Louis, to Place des Vosges, the seine and the palais royal with some edgy photography in mind. 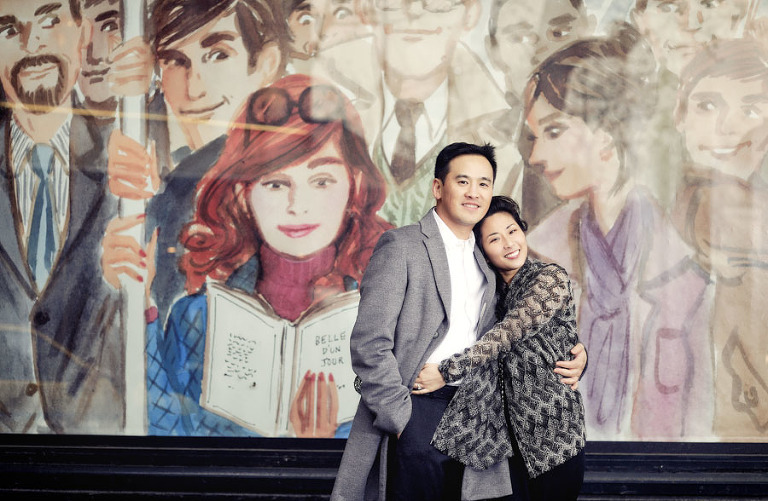 This is the result with a few of their engagement photographs taken during a three hours spam. Lighthearted, natural with some energy and a flash to give the serie a bit of an edge. Taking private portraits is a lot of fun. I tend to approach a photo shoot in a lifestyle manner, not too posed and all natural images. What is important for me is to see the love and energy in between the couple I photograph so that the result stands out ( I think ) and everyone remembers the afternoon as a very fun moment! 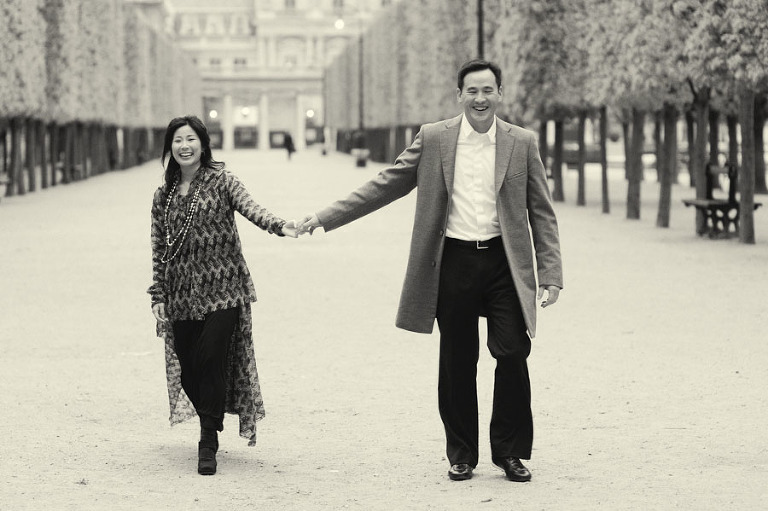 If you are looking for some information on photography for a forthcoming engagement photo tour in Paris, I recommend that you check our Paris engagement photo packages and FAQ page. You are more then welcome to call me or drop me an email if you are not sure of something. 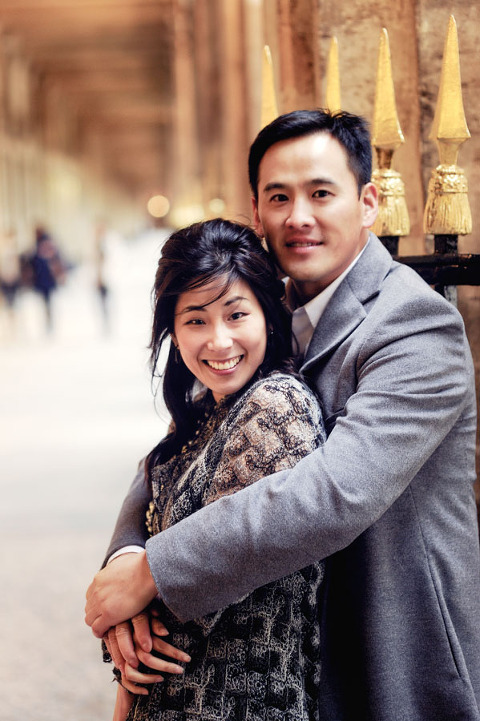 In any case, we are here to help and remember, shooting your engagement photos in Paris can be a lot of fun and great memories to follow!